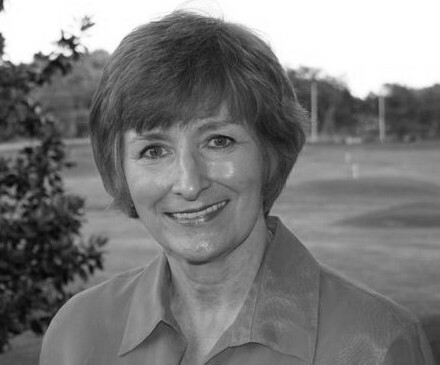 About me: I’m Vicki Huffman, and I’ve been with Mentoring Moments since the early days. My main job for MMCW is to edit the pieces sent in by our writers. I also write some articles and serve on the Board. Combined with editing for two companies and some freelance editing for individuals, I keep pretty busy. I have been married to Richard since shortly after the earth’s crust cooled. That union has produced two grown and married children and the seven grandchildren they’ve given us. Right now the only two children at home have fur and eat Kibbles and Bits. We live on the outskirts of Nashville beside a lake where we enjoy watching does and fawns graze and flocks of geese strut (and do other things that fertilize the lawn). About my work and books: When I was a full-time editor, I worked for companies such as Thomas Nelson and Cook Communications. I also wrote two nonfiction Christian books, The Best of Times (Broadman Press) and Plus Living (Harold Shaw Publishers). I recently revised and republished these in paperback and e-book and made them available through amazon.com. My latest book, published through amazon.com in October 2013, is Still Looking: Finding the Peace of God in Job Loss. My husband and I had a combined total of eight job losses. Through them I learned many things about appropriating the peace of God in times of distress. Although the book centers on the problems associated with job loss, it provides biblical insight for all kinds of losses and can be helpful to anyone. We all suffer significant losses and the book addresses how we can go through the grieving process successfully. In the last few years, I’ve edited a number of novels. I had always planned to write a novel and, after fixing the work of other novelists, I decided to try my hand at it. So my (so far) only Christian novel, A Secret Hope, a suspenseful story of the relationships between women, especially mothers and daughters, is also available online only at amazon.com in paperback and on Kindle (e-book). We have arranged for you to be able to read the entire first chapter free in the Mentoring Moments gift shop here. If you like what you read, I hope you’ll order A Secret Hope and tell your friends and family about it. Word of mouth is still the best advertising. Word of e-mail just makes it more efficient. What is unique about A Secret Hope by Vicki Huffman? A lot of books about women don’t portray strong characters. Maybe that’s why we like the ones that do. Women know how strong we often have to be, and we don’t appreciate weak, simpering female characters, even in our fiction. Rachel, Becca, and Marina, the contemporary women in A Secret Hope, belong to three different generations, but they are each strong in their own ways. They don’t always act wisely, but they are willing to learn from their mistakes. Through the lives of the characters, the book touches on many subjects from a Christian worldview but without preaching. Adoption, motherhood, death, grief, crime, cancer, forgiveness and love all play a part in the way the lives of these women are shaped–and in the way they shape each other’s lives.